The 2nd RENSEF Renewable Energy Systems and Energy Efficiency Exhibition will be held between October 30 and November 2, 2014 in Antalya Cam Piramit again. 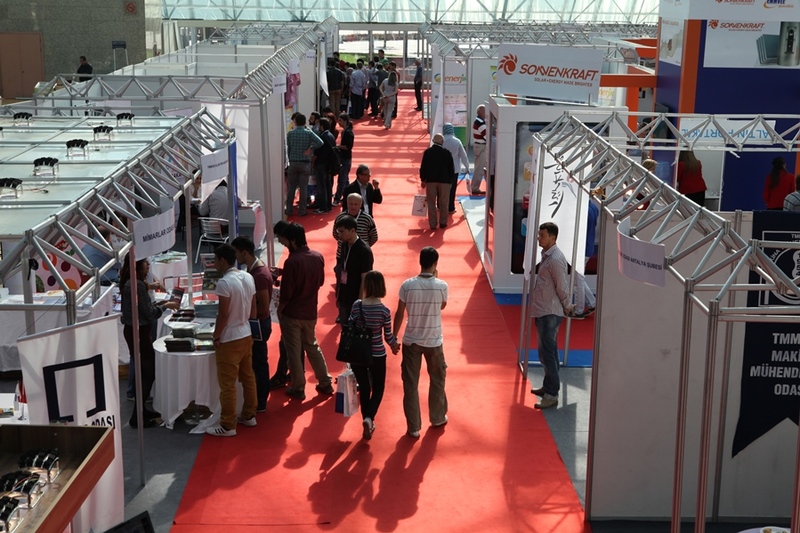 1st RENSEF Exhibition had 1842 visitors from Antalya, Ankara, Istanbul, neighboring cities and abroad with the attendance of solar power and biowaste sytems producer companies that exhibitied their products and services. Visitors got information about electricity production out of alternative sources. The exhibition in which costs and application areas of new Technologies were discussed met the expectations of exhibitors. The companies which produces electricity out of alternative sources will exhibit in 2nd RENSEF Exhibition which is organized by Agoras Exhibition Services LTD again. International promotion works and every other advertising and promoting works will start soon. Just like it has been the case in the 1st RENSEF Exhibition, an event programme with subjects interests the exhibitors and visitors will be prepared. To watch the advertising video of the 1st RENSEF Exhibition, click here. This Page Has been updated at 27.12.2013 and has been read 0 times.